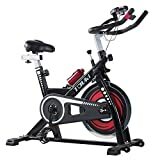 What is the Best Spinning Bike for Home Use? If you ever thought an indoor bike was just an indoor bike you would be wrong. In fact, there are several different types! Spinning bikes and exercise bikes are not the same thing at all! 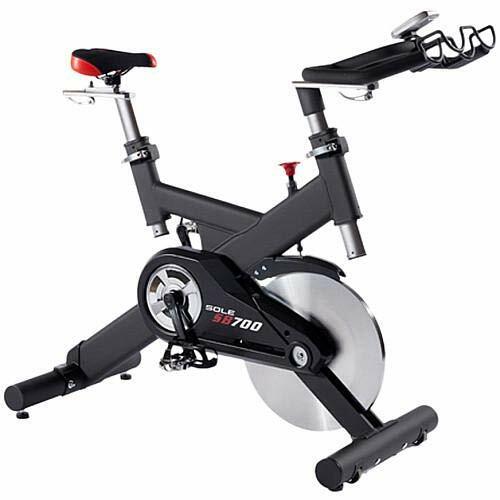 See what we mean by checking the best spinning bikes presented below. They may look similar but it's more than just a recumbent or upright posture. 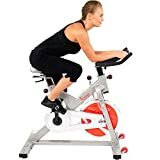 Indoor cycling, or spinning, bikes have a weighted flywheel and have a transmission system similar to an actual bicycle. Your riding position is also similar and the resistance is adjustable in the same way you would adjust gears. 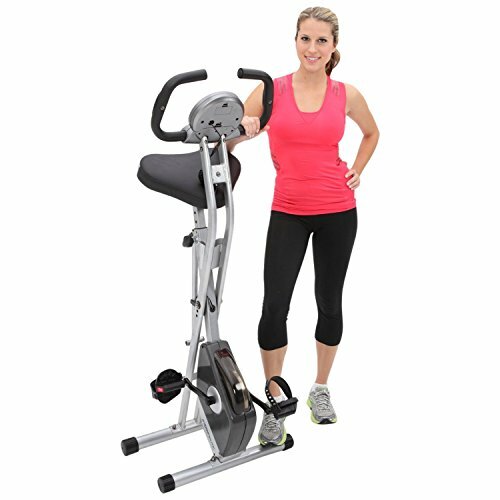 The way the cycle is designed allows you to cycle while standing and not just sitting, unlike an upright bike. You're also engaging different muscles because of the difference in position. They're much more efficient at burning calories than a traditional upright bike because of the superior resistance. Of course, you can still get the same added extras like heart rate monitoring, consoles, screens, pre-programmed routines etc. For some though, the choice to use an upright bike is solely about safety. When standing on an indoor cycle you're much less comfortable and more likely to hurt yourself. When you're at home you need to keep several things in mind – your budget, storage space, and whether it's suitable for you. 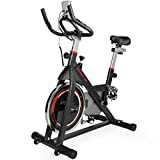 The best Spinning Bikes are usually lighter and more compact than upright bikes unless you're looking for a professional grade model. Commercial bikes are a usually heavy duty and are meant for frequent, daily riding, and will last longer because of the construction. If you can afford it definitely choose a commercial unit. You'll also need to choose whether you want an adjustable unit and added extras like screens or heart rate monitors. With a capacity of up to 300lb and an extra large seat cushion, there's really no excuse not to get on this bike! The seat is adjustable to fit between 5'3 and 6'1 users, which is a huge difference since not all bikes will adjust to shorter riders. The design features a heart rate monitor in the hand grips so it's automatic. With 8 levels of tension adjustment and the ability to fold for storage, it's about perfect for home use. Plus being under $150 is really cheap in comparison to some of the other options. The build of the bike is a bit odd, the pedals are too far forwards to really be right for the way you should sit or stand which puts extra stress on your back. It's also difficult to get the right range of motion sitting at such an odd angle. The seat is also quite wide if you're naturally slim which means you might have to sit very forwards on it to get enough space. 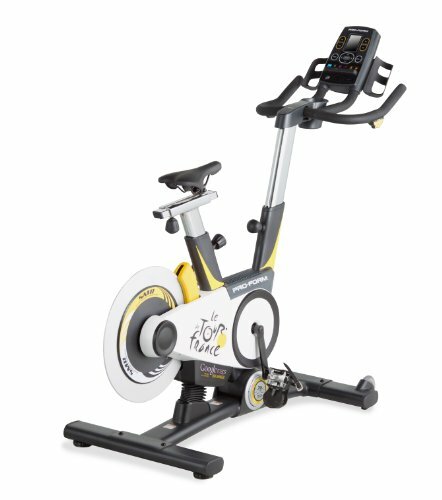 With a 40lb flywheel, this is a hefty piece of equipment, it supports up to 275lb and has an adjustable seat and handlebars. The handlebars are nice but they're only adjustable up or down which gives you an option for how you want to hold them but not if you need them closer unless you turn them around backward. There are a lot of positive reviews on this model from home users which says a lot about its popularity. Those who use it say that it's basic but that it's so simple to use because of this. It's also easy to assemble and should take less than a half hour to put together. Despite the seat being adjustable it's barely acceptable if you're 5'6, anything shorter and you cannot physically sit on the seat because it's too high. The handlebars are also not adjustable, which means if you're short you may not be able to reach. The seat is also quite brutal, it's small and sharp as well as being hard. It's also really noisy to use. A 48lb flywheel means you've got the option for a lot of tension and some great inertia. The flywheel is what really sets this apart from other bikes. The improved inertia helps make the ride smoother which puts less stress on tendons and ligaments. This also makes it easier to ride for a longer time without getting uncomfortable. The pedal action is also very similar to real cycling. It's fully adjustable which means it's perfect for lots of different heights. The backlit LED console is easy to read and connects to Garmin and Polar products for biofeedback. The “computer” is rather simple and basic, it's not impressive and could be on a much cheaper bike. In fact, most of what are supposed to make this bike impressive is also available on a cheaper bike. The 8lb difference between this wheel and the Sunny is really not worth the money. There's also a lot of problems with units slipping and being quick to break. There's truly no other bike that's comparable. There's also an ipod dock, personal fan, and a USB charging port. If you want a bike like you would find at the gym then this is it. There's also Bluetooth connection and a full media system to connect to. •The price is exceptionally prohibitive. For the average person, you just can't afford this bike. While it has a lot of bells and whistles on it, really it's still just a sturdy bike. Unless you really want the onboard media system and screen you can get the same results cheaper. The bike has adjustable handlebars and seat which is good for the average rider (meaning no shorter than 5'6 and no taller than 6'1). The monitor is simple to use and has everything you could need, like heart rate, speed, time, calories and distance. The heart rate monitor is on the handlebars which means you don't need extra equipment, unlike the Sole. No frills, if you want ipod docks or cup holders then this isn't for you. The display has all the basics but the bike also has a weight limit of the only 220lb. It's also chain driven which is loud and obnoxious so even if it looks like a spinning bike it's really not. 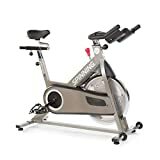 For the ultimate experience the Spinner eSpin can't be beaten, but at a prohibitive price, you're probably better choosing the more reasonable Exerpeutic bike which can be folded away for easy storage and is a fraction of the cost.